My family is in a season of transition. 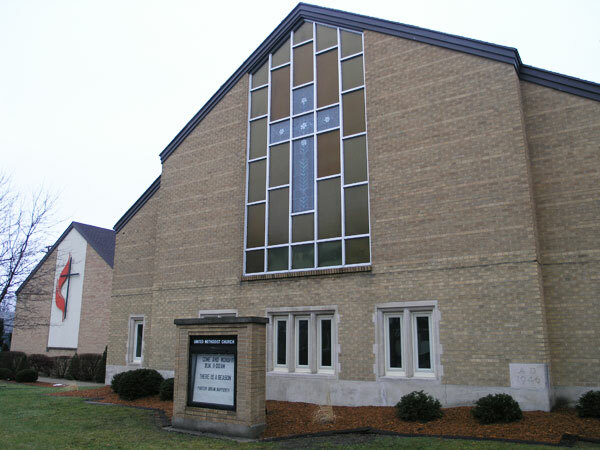 We will move from Cedar Springs this summer and make our way to Muskegon, where I will serve as pastor of Lake Harbor United Methodist Church beginning in July. I never moved as a kid, and my parents still live in the house where I grew up. But, moving is much more common than it used to be. Many families move these days for many reasons: employment, family needs, financial reasons, and the list goes on. Moving is tough. To leave behind what is known and comfortable is not easy. I like routines. I like knowing what’s coming next. But I’m not surprised that one of the ways we describe our spiritual life is a journey. We are on a journey with God—stopping here and there, but never staying where we are. God calls us to growth and vitality in our personal relationship with Jesus Christ. The Holy Spirit guides us, many times to places that we never thought we’d go and serving in ways we never expected. Does this ring true for you? Scripture is full of examples. The Israelites moved out of Egypt into the Promised Land on a long journey. Jesus was born after Mary and Joseph traveled to Bethlehem. Jesus’ life and ministry did not take place in one community, but he moved around, even going to places where no one else would go and encountering people who were eager to receive him. So we’re on a journey with God, and the Good News is that God is faithful to walk with us. God never leaves us or forsakes us. I take great comfort in that promise even as I know that the time we invest in a community is important. I’ve been blessed to get to know many people in this community and be a part of their lives. My spouse and I are thankful for dedicated teachers and school employees who have been such a vital part of our children’s early years. We’ve been blessed to be a part of the congregation at CSUMC. I’m grateful to be have been a part of the CS Ministerial Association for the last six years. This group has been joy-filled, life-giving, and faithful to God’s call to love God and love each other. I’m grateful for the commitment to find our unity in Jesus Christ and trust in the Holy Spirit to guide us. I appreciate the connection we have and the honest sharing and respect we have for one another. I celebrate what God is doing in our community, and I’ll continue to pray for you as we journey with God. I love Paul’s words: I thank my God every time I remember you. In all my prayers for all of you, I always pray with joy because of your partnership in the gospel from the first day until now, being confident of this, that he who began a good work in you will carry it on to completion until the day of Christ Jesus (Philippians 1: 3-6, NIV). If you don’t have a church home or have been away for a while, consider getting back to church or trying it out for the first time. I invite you to worship with us at 9:00 a.m. & 11:30 a.m. on Sunday mornings. On May 25, we move one worship service at 10:00 a.m. We share the love and hope of Jesus Christ!